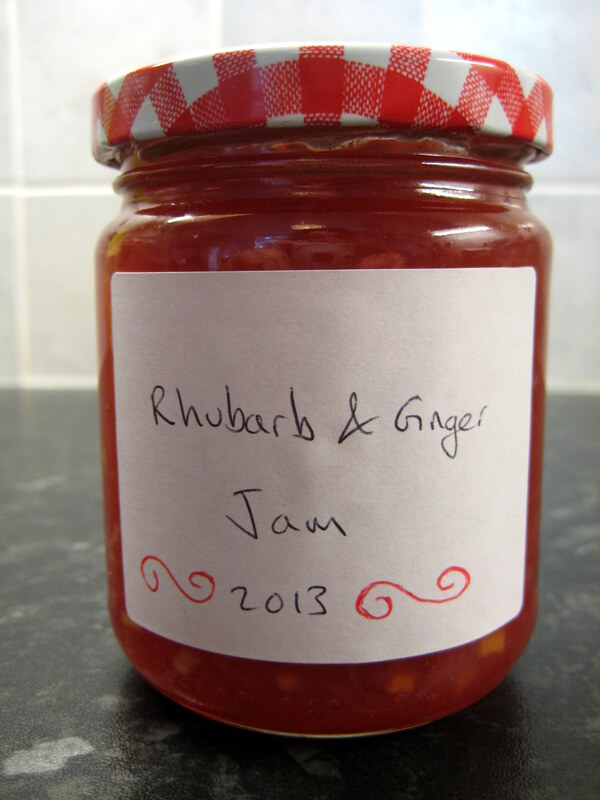 This is my favourite jam. I have never seen it in the shops, and I don’t know why because it is a gorgeous combination! It is lovely on toast, especially with peanut butter, and it’s also great in an old-school jam pudding with custard. 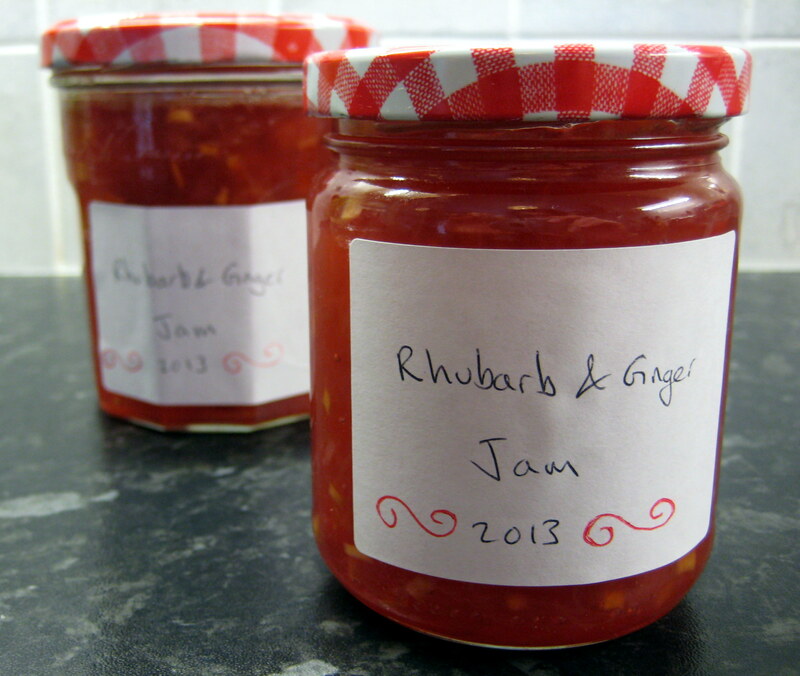 I usually make double or treble this recipe, but I only had a small bag of rhubarb this time. If you double the recipe use a large lemon, or 2 small lemons if you treble it. 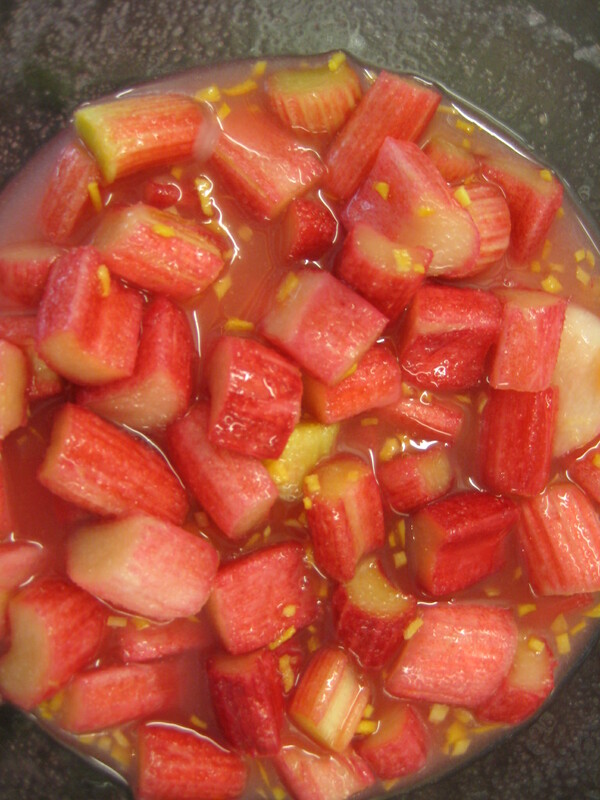 Macerating the fruit (letting the sugar draw out the juices of the fruit) reduces cooking time and preserves the colour better, but if you are short on time you can skip this and simmer until the rhubarb is cooked before increasing the heat. 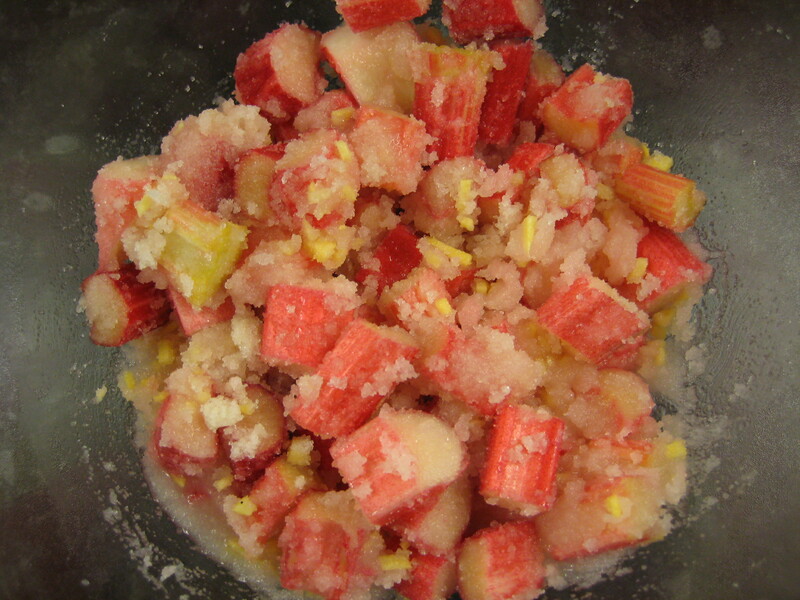 Chop the rhubarb into 3cm pieces. Grate or finely chop the ginger (it is easier to grate if you freeze it – I didn’t have time so chopped mine!) and then put all the ingredients in a large bowl to macerate for around 2 hours. Put the mixture into a saucepan and simmer for around 10mins. Then increase the heat and boil vigorously for around 15mins, until the temperature reaches 104.5°C, or you have tested for a set*. *To test for a set, put a few plates in the fridge to cool. Drop a teaspoon of the jam onto a plate, and then return to the fridge for 30s. If it is still runny, heat the jam a bit more, but if it leaves a track when you run a finger through it, it is ready! I bet that might be nice on the side with meats (a la cranberry jelly etc)!